We received a credit card payment from customer A ($334.00) and sent a credit card refund ($1,000.00) to customer B on the same day. This resulted in a net negative deposit ($666.00) from our credit card merchant provider. 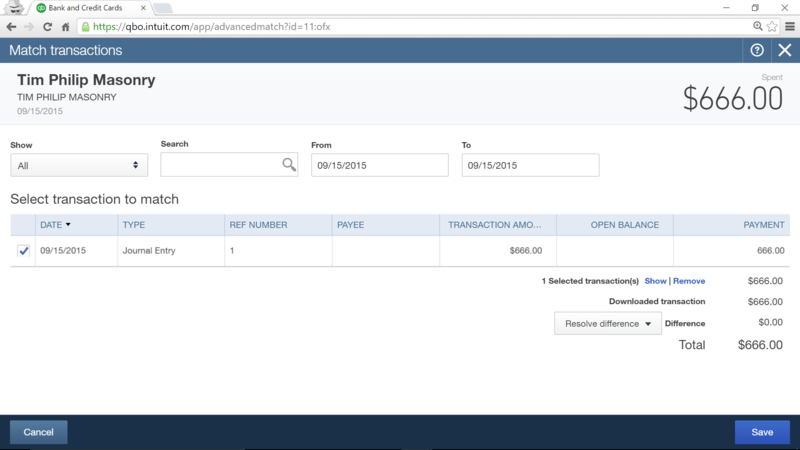 How to match a refund receipt and a regular receipt in order to properly match the deposit in our bank account from the bank feed. 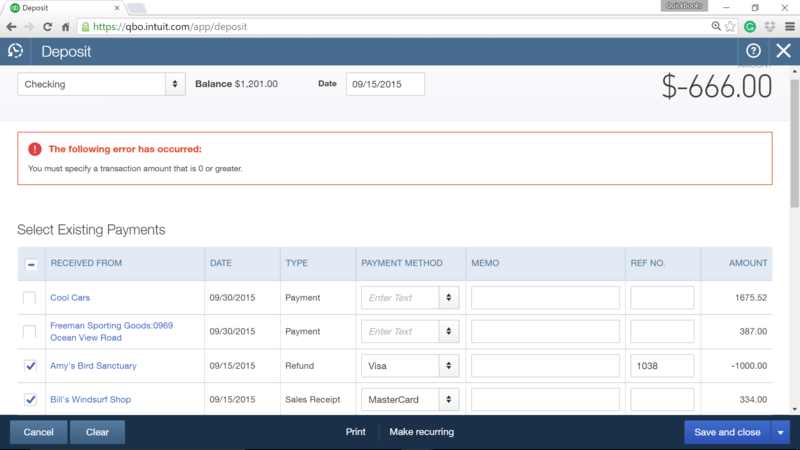 QuickBooks Online won’t allow creating a negative bank deposit. If the total deposit is negative, you will need to create a Journal Entry to move the funds from Undeposited Funds to the bank account. 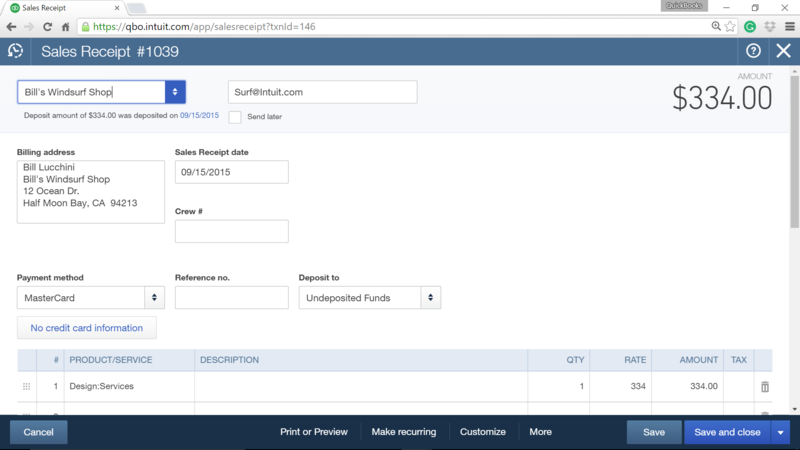 Here’s how to create that Journal Entry and move the funds from Undeposited Funds account to Bank account. Click the Create (+) at the top of your Home screen. Choose Journal Entry from the drop down (if you don’t see it, try clicking Show more). Set the Date of the transaction (same as bank posted transaction date). 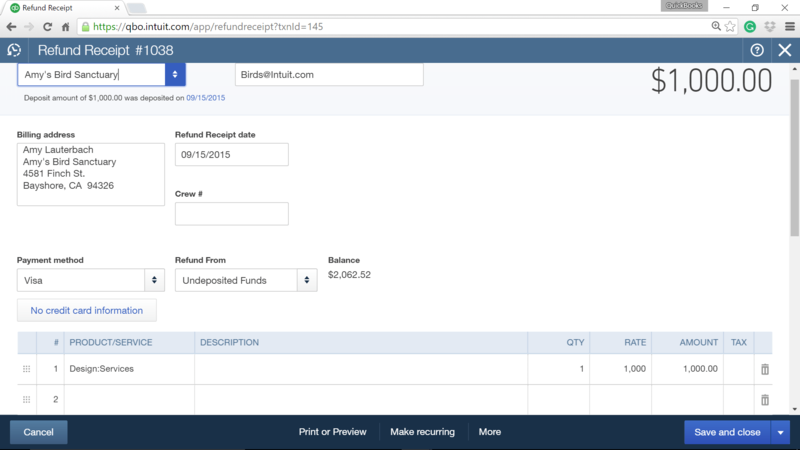 In the Account column, choose Undeposited Funds. In the Debit column, enter the amount of the deposit. In the Account column, choose the appropriate bank account. Set the Credit column to the amount of the deposit. Click Save and close. 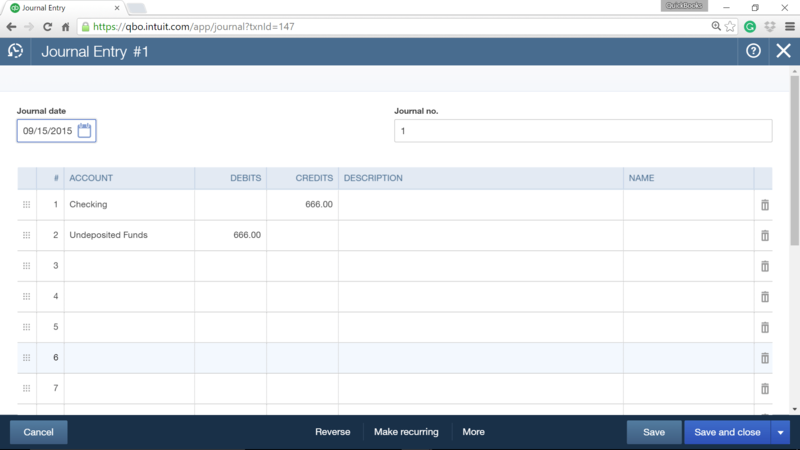 This will show a deduction from the bank account in the Bank Register in QBO. 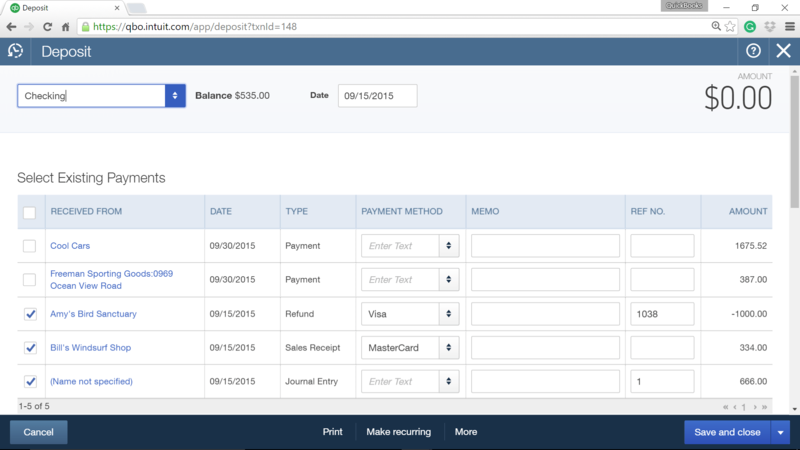 Next, you will want to group the Journal Entry with the payments to create a $0 deposit and remove the payments from Undeposited Funds. Choose Bank Deposit from the drop-down. The entry you just created (the total should be zero). Next, go back to banking center (bank feed). You may see MATCH now for that transaction. If not, click that transaction row for refund receipt. Locate and match transaction from the list there. Save.